$5999 Total Due at Signing Plus 1st Payment, Tax, Title and License Fees, 36 Months, Security Deposit Waived. 7,500 Miles Per Year, 0.30c Excess Mileage Charge. On Above Average Approved 730+Credit through Chase Financial. 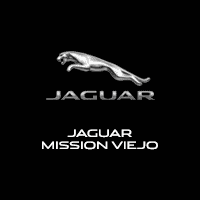 This outstanding example of a 2019 Jaguar XJ XJ R-Sport is offered by Jaguar Mission Viejo. This Jaguar includes: 19 INCH WHEELS: 7 SPLIT-SPOKE (STYLE 7016) 360 SURROUND CAMERA Back-Up Camera HEATED WOOD Heated Steering Wheel Leather Steering Wheel ILLUMINATION PACKAGE FUJI WHITE PREMIUM INTERIOR PROTECTION PACK (PIO) Floor Mats BASIC REAR SEAT CONVENIENCE PACK (PIO) STYLING ACCENT PACK W/ILLUMINATED TRUNK FINISHER (PIO) *Note - For third party subscriptions or services, please contact the dealer for more information. * There's a level of quality and refinement in this Jaguar XJ that you won't find in your average vehicle. This is about the time when you're saying it is too good to be true, and let us be the one's to tell you, it is absolutely true. This is the one. Just what you've been looking for.